Soul Stories: Voices from the Margins is an exploration of the boundaries of narrative within health and healing in the context of trauma and homelessness. It draws upon scholarly research across a range of disciplines, and is informed by Ensign’s thirty years’ experience as a nurse providing health care to people marginalized by poverty and homelessness, by her personal journey through homelessness as a young adult, and by her experience teaching critical reflective practice to health science students. Soul Stories deepens our understanding of homelessness; trauma and resilience; gender-based violence; the role of narrative in health and healing; and ways in which we can humanize health care for patients, providers, and communities. It contributes to civically and community-engaged scholarship in the health humanities. Soul Stories: Voices from the Margins was published August 2018 by the University of California Medical Humanities Press. “Without stories there is no heart to health and social care. 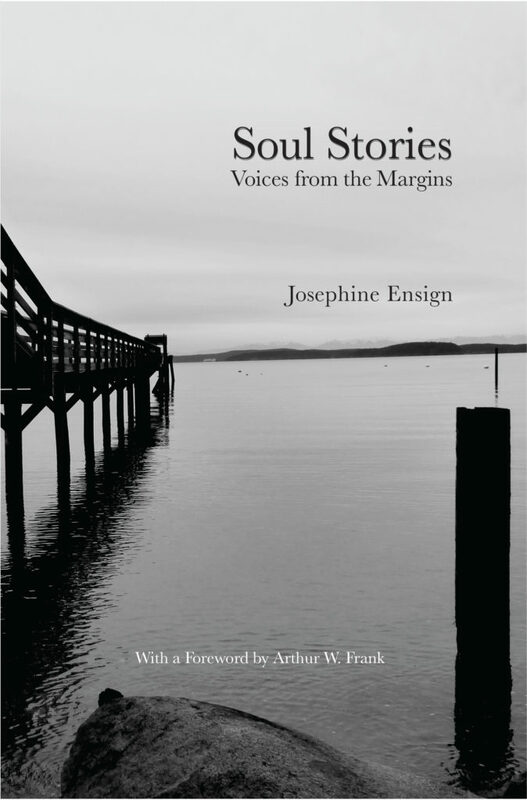 In her compelling book, Soul Stories, Josephine Ensign challenges us all to rely more on narrative knowledge and experience. In fact, she reminds us that without stories we are all truly homeless.” —Paul Crawford, Professor of Health Humanities, The University of Nottingham, UK and co-author of Health Humanities. “Josephine Ensign has written an unusually rich and deeply-considered book centered on her life’s work as a nurse practitioner caring for people in homeless shelters and the path that led her there. Soul Stories is a valuable contribution to the growing field of Humanities and Healthcare.” Laurie Barkin RN, MS, author of The Comfort Garden: Tales from the Trauma Unit and winner of the 2011 American Journal of Nursing Book of the Year award. Soul Stories: Voices from the Margins is a writing, photography, sound recording, and digital storytelling (DS) project with the following additional components. 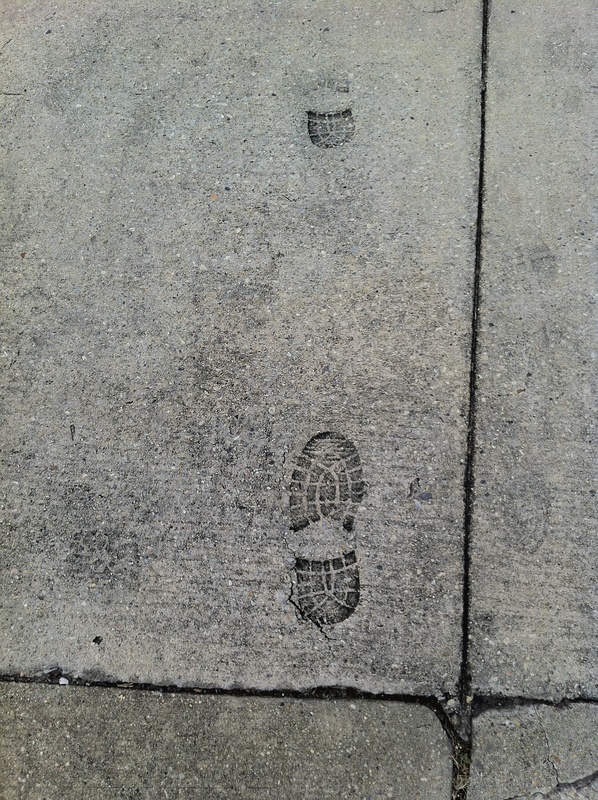 “Soul Stories: Homeless Journeys Told Through Feet” is a brief DS video I made to accompany a show of my photographs and poems/prose. “Homeless Professor” digital storytelling video with excerpt/adaptation from Catching Homelessness is linked here. As part of my Soul Stories project I am doing a public art project, “Way Out; Way Home.” Here is a short spoken word video performance of “Way Out; Way Home” using a haibun (poetry and prose) I wrote in conjunction with a series of mixed-media pieces and photographs I made to accompany the haibun. As a component of “Way Out; Way Home” I facilitate workshops with groups of people with a final reflective exercise on the meaning of home. I invite them to write or draw their own answer to the question, “What does home mean to you?” on strips of colored paper. With their permission, I am adding their responses to a Community Blue Tarp Tapestry, which will be displayed in a variety of locations throughout Seattle, as well as displayed/added to through photographs on this website page. In addition, in some workshops I have asked people to then write an American Sentence (a type of haiku with 17 syllables) based on their top response to the meaning of home. Here are links to terrific Seattle-area homeless shelters/agencies I work with. Your donations to them will be well spent! This project was supported, in part, by an award from 4Culture. Additional support for the audio portion of the DS videos comes from Jack Straw Productions. My Soul Stories project is also funded, in part, by the University of Washington Simpson Center for the Humanities, the University of Washington College of Arts and Sciences, and the National Endowment for the Humanities. Dear Josephine, I have just read your story concerning your life as a medical provider and having been homeless because of the medical boards and lack of having good counsel at the time.Thank You for having shared this with all of us. It takes courage and strength to change things and you are doing a wonderful job of it. My name is Cheryl and I am the wife of a physician whom been treated unjustly by the medical board.. He has just received permission to go back to work. Now we are hoping and praying to find someone whom will allow him to go back to work for. God has had our back but we have come close to being homeless. I am searching for other medical providers of any type, Nursing, Veternarians, Dentists, Physicians, Mid Levels etc. who have been dealing with the medical boards and they are being treated unfairly We have uncovered corruption on almost all of our state medical board and we are trying to collect data all across the USA. Any one whom is reading this please contact us at http://www.woundedhealersnc.net. I am hoping to change things and in the future create a farm with housing on it to take in medical providers on the verge of homelessness or already homeless whom are having issues with the medical boards and show them the what they can do to get their license back and to go back to the their professions or help them adjust to a new career. Thank You for the work you are doing. May God Bless you in your endevors especially in getting help for all the homeless. Thanks for writing and for sharing some of your husband’s (and your own) struggles with a health regulatory board issue. Someone should do a rigorous study of the collateral damage to people’s lives of these sorts of things. If you haven’t already had a chance to read by linked blog post ‘Not Just Culture,’ I encourage you to do so–not for my own story, but for the background research I did (and reference) on the systemic problems of our health professions regulatory system. I have just read your other post Not Just Culture. I am so sorry for what you had to go through. My husband last saw a patient on Dec 28th, 2012. As of last Thursday they say he can return to work. No one will hire him with their lies on the website for the N Carolina Medical board. After collecting data in North Carolina on the Medical Board and taking the evidence to the North Carolina State Auditor over a year ago, we have finally received an audit report in August of this year. It shows that the state boards have no one overseeing them. This including all of the boards such as general contractor boards, electrician, nursing, dentist, physician, nursing etc all need to have accountablitiy. I took our report also to the FBI because of the depth of corruption in the North Carolina Boards. If you go to the website I mentioned we have come across 6 physicians whom have had untimely deaths during their own medical board investigations. I am so sorry about Kim’s passing. The boards, hospital, media etc need to be held accountable for they truely have no clue as to what they have put folks through. My husband and I came across over 100 providers that were treated poorly over the last ten years. We have talked to about 40 of the poorly treated physicans, nurse practioners and PA’s whom have had issues witht he medical board. Not one consent order that is on the website has truth in it. If you want to go back to work you will sign it lies and all. Those who do go back like my spouse will now find it hard to find a job. We had a full hearing and it was filled with broken laws. Our attorney is now filing an appeal to have the transcripts heard by an appeal court judge which will take over a year. At this point he can go to work but most likely it will be for the correctional institutes. He lived with no complaints in 23 years, no malractice and then on onslaught of 8 complaints in 8 months at a practice where he is the 6h provider to go before the board. We have been surviving because of a business I have in Florida that did not sell because of the recession. Florida was hit pretty hard with all the hurricanes in 2005-2006. We had three in 16 months time. So the economy of tourism has still not returned and the housing market is still a mess. My business is just about belly up. Thank You for listening and caring about people. Most folks just believe that no medical board would do something without a reason. I am sorry you had to learn the hard way. I feel God has let us see this mess and opened our eyes to it so that we can help others whom are going through it or have already gone through it. Just like he allowed you to see the homeless so that you would rise above it and help his children. We have submited at patent and are hoping to start a new business to fund our farm for families torn apart by the medical boards. We are hoping to fund our new business using the patent by selling our other patent idea. Please feel free to write. Thank You for all you are doing for the homeless and teaching the nurses of tomorrow.